There is a paradox, acknowledged by the speaker herself, in a woman giving a lecture about how the female voice has been excluded from public discourse since the origins of Western culture. 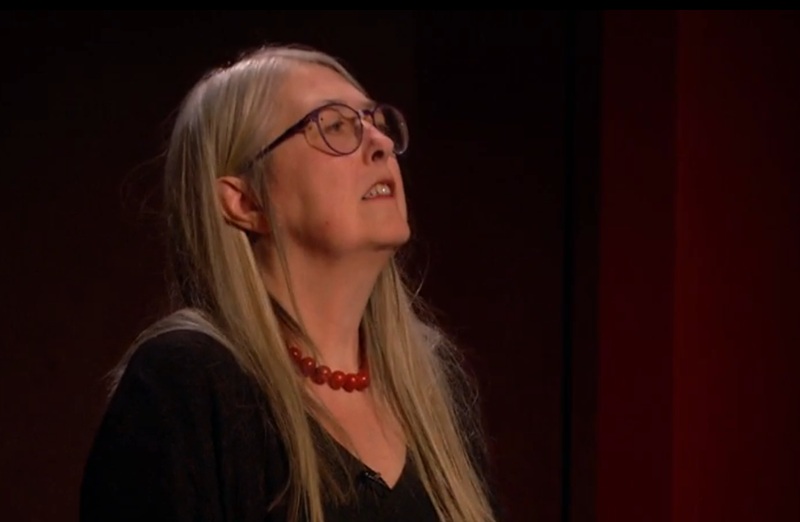 Mary Beard’s lecture, given at the British Museum for the London Review of Books and broadcast on BBC4, was clearly not an instance of being silenced. But the examples she brought forward, from Telemachus telling his mother Penelope to be silent in the Odyssey to the misogynist abuse flung by Internet trolls at women who speak in the media today, were damning. Mary Beard’s opportunity to speak in public is relatively new in historical terms and it comes at a significant cost that many women in public life will recognise. One aspect of that is the personalised abuse to which a woman wishing to be heard risks being subjected, and I admire those, like Beard, who with far greater courage than me, will not allow themselves to be silenced by the vitriol so commonly flung in their faces. Another is being cornered into speaking about the experiences, needs and rights of women: as she observed, she might have been speaking about migration or the war in Syria. I remember being told by someone at Channel 4 that their diversity research showed not only that disabled people appeared on screen very, very rarely but that when they did, it was almost always to speak about disability. Athenian democracy was limited to men, and even then only men who had completed military training. Women, children, slaves and foreigners – the vast majority of people living in Athens in the 4th century BCE had neither a vote nor a voice. Democracy is fine, it seems, so long as the self-perpetuating group of rich and powerful men who have dominated most societies throughout history, control who actually gets to be heard in public space. The exclusion of women is the most salient example, and has required the most cultural effort to maintain, principally because they are half of the population. But there are many others who must be silenced if democracy is to be controlled by 20% of the adult male population of Athens. And that is why art can be so important. It is a way for the silenced to express themselves. It can be a way to be heard when others are blocked. Jane Austen wrote about female experience anonymously, but without needing the male or androgynous pseudonyms adopted by the Brontës, Mary Ann Evans or, most recently, J. K Rowling. Farm labourers in NE Scotland composed ballads to satirise the masters who gave so little in return for their work. The enslaved peoples of Europe’s ‘New World’ created whole cultures in which to hold and express their selves – cultures so powerful that they have sometimes, as in the case of the blues, occupied and transformed those of their oppressors. The one public place in Athens where women’s speech was not just heard, but essential was the theatre – an ancient auditorium of the Parliament of Dreams. At root, the silencing is not misogyny or racism but about power. Those poisonous cultural and ideological systems were invented to legitimize the unequal distribution of power. They must be challenged not only in themselves but in their root causes. We must be tough on oppression and on the causes of oppression, if one can use such a formulation without being overcome by the irony. And the struggle to be heard exists in the arts as it does in every other part of human society. The powerful defend their control by talk of standards, quality and excellence, always reserving to themselves the knowledge, judgement and taste to sort the good from the bad. There is a useful Latin question worth asking when someone tells you your work is not up to standard, your claim is illegitimate or your voice should not be heard: cui bono? It means, who benefits? In whose interest is it that the voices of women, of working people, of the poor, of disabled people, of the old or the ill or the stranger should be silenced? When you listen to those voices described as the norm, as objective, ask yourself sometimes not only how good is their argument, but whom does it serve. Cui bloody bono? I don’t like football. Really.